So you’ve decided to start a new life in Miami. Excellent choice! Miami is a fun place, full of charming architecture, full of amazing eateries and stunning views. Scenic beaches hug the coastline, and Miami districts bustle with life. 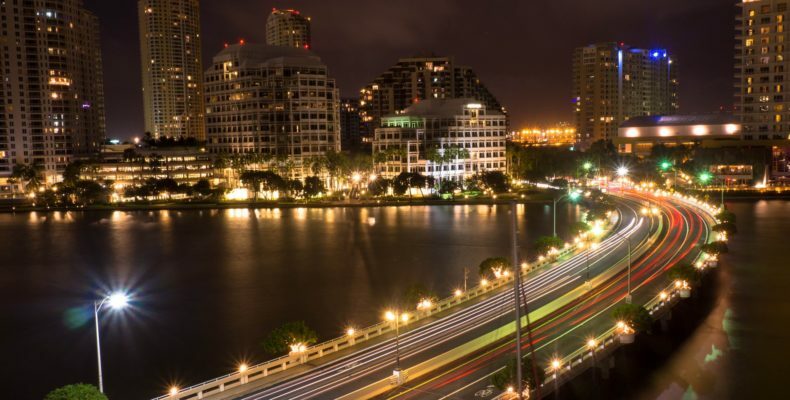 Below are the best neighborhoods for singles in Miami, all diverse and vibrant. A total treat for anyone to move to! There really is no mentioning Miami without also mentioning South Beach – or SoBe, as it’s famously called. South Beach is the ideal Miami neighborhood for singles, what with an abundance of nightclubs and fine dining. It’s been called the American Riviera and an Art Deco Playground – for good reason. Talking about the best neighborhoods for singles in Miami without mentioning SoBe is like dining without the main course. It’s got all the glitz and glamour of a Las Vegas scene, except the only thing shallow in SoBe are the shallows on the beaches. Speaking of, the white sand beaches and crystal clear water are attractive to tourists and locals alike. Culinary hot spots pepper the neighborhood. Chain stores rub elbows with indie shops and are all lined up on Lincoln Road Mall, the top pedestrian shopping strip. Ocean Drive offers well-preserved art deco architecture, for the architect buff in you. Of course, the nightlife in Miami is nothing to sneeze at either. South Beach and it’s “fun in the sun” attitude is perfect if you want to meet a variety of interesting and fun people. Move to SoBe and feel immersed in an endless vacation! Coconut Grove is the oldest neighborhood in Miami, offering a laid-back experience for city dwellers. It is the original bohemian art district, full of Italian Renaissance-style villas. 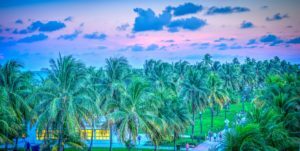 Its arty reputation is well deserved – as one of the best neighborhoods for singles in Miami, Coconut Grove boasts with many festivals and events for singles to enjoy. Ever wanted to go to the Coconut Grove Arts Festival? What about the King Mango Strut, the Food and Wine Festival, or the Goombay Festival? Coconut Grove is full of festivals to enjoy year round! It’s not all art and parties, however – Coconut Grove has excellent historical museums as well. 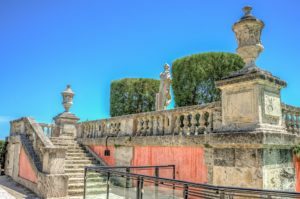 You can’t mention the best neighborhoods for singles in Miami without mentioning the Vizcaya Museum & Gardens, filled with priceless European antiques. Miami’s downtown area, a haven for young professionals who rent. The urban core is where the best opportunities lie. Miami’s urban core has grown faster than a lot of U.S. cities since construction has grown 66% since 2010. It seems like everyone is moving to Downtown, and with good reason. The increase in people brings a tidy profit. You just need to be in the right place at the right time. Of course, it’s not all offices and apartment buildings – it’s Miami! Miami could never be just a soulless grind. With plenty of restaurants and bars for breaks and the relaxing beach just a short car trip away, Miami combines working hard and partying hard. Downtown has many newly developed office buildings, so perfect for moving your business and seizing the moment. However, it’s important to hire professionals to save valuable work hours for your Miami move. They can tell you all you should know about commercial relocation, so you can start a new chapter in your business the right way. Coral Gables has a good claim for being one of the best neighborhoods for singles in Miami. It’s teeming with attractions, boasting with the highest concentration of culture and arts, but way more laid back than SoBe. It was dubbed “The City Beautiful” for an excellent reason – it was designed around nature. Early city planners designed Coral Gables to be a vibrant green spot, so it’s effortless to find green spots for outdoor activities. Even the trams feel unique and fairy tale. Of course, no one can mention Coral Gables without singing the praises of the Venetian Pool. It’s one of the most unique public pools in America. It was designed as an Italian villa, adorned with waterfalls, and filled with fresh water drawn directly from Florida’s aquifers. While it was designed to be a pedestrian-friendly area, it’s also got well developed public transit. 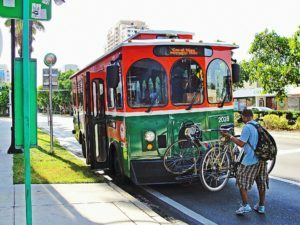 The locals can enjoy a free trolley service that runs up and down Ponce de Leon Boulevard. Miami has a lot to offer. It can be very dizzying to decide when there are so many excellent opportunities! As an ever-growing city, Miami has no shortage of good neighborhoods, so it can be hard to narrow down the search. You have to ask yourself, so what do you want from your Miami move? Do you want glamour and nightclubs, and the feeling of an eternal vacation? Because South Beach is the place for you. Are you moving to Miami in search of business opportunities, or opportunities for your business? Downtown is your town, and Brickell and Wynwood are solid options as well. Does the phrase “best neighborhood for singles in Miami” invoke art and bohemian city trawls? You’re practically half a Coconut Grove native already. Do you just want to relax in nature? Do you prefer a tranquil, idyllic experience? Coral Gables is calling your name. So, are you worried about the quality of your Miami move? Starting a new chapter in your life can be so stressful. You might find yourself reading useful packing tips, but never get around to packing. Just because you know something is the right step for you, doesn’t mean actually doing it is easy. So that’s where professionals come in. Hiring a group of dedicated, experienced people is an instant stress relief. Professional movers like purpleheartmovinggroup.com are on your team, and committed to saving you stress and heartbreak, especially with handling your belongings.